Four of us took this tour on the Saturday before Palm Sunday. The natural beauty was breathtaking and our guide Dani gave us wonderful information about the monastery and the area. Because of the timing of our trip to Barcelona this was our only opportunity to visit Montserrat, and there were many others there as well, so we did not have the time to stand in line to see the Black Madonna up close. And because I am disabled right now I was unable to hike to the best vantage point from which to view the monastery. We took the tapas tour and had a wonderful time relaxing at the winery while being introduced to some tasty artisanal wines. Dani was again filled with information about the wines, wine making process, and the old castle that is now the site. It was like lunching with a friend! Omg!! I was not expecting the level of excellence we received!! Our tour guide Pol was super fun, amazingly knowledgeable, and is so passionate about history and a thorough tour guide!! He explains everything!! He even hooked us up with a liquor tasting ( 4 of them) in one of the shops at Montserrat and they gave us a pastry as well! 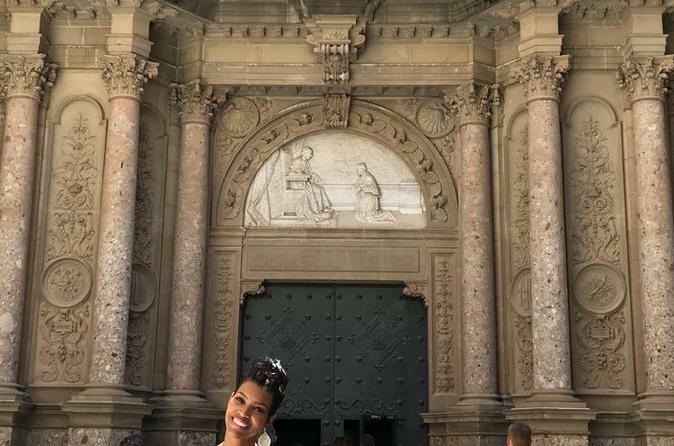 Beautiful scenery, magnificent basilica, the tapas lunch was tasty and Pol even gave us a fascinating quick history lesson on Barcelona and vineyards!! Best tour hands down!! We went on a couple other tours, and the information we learned from Pol on this one tied in with what we learned on the others!! Added so much to our trip!! Thank you Viator and especially Thanks to Pol!! Great tour. Carol was knowledgeable and charming. Would have loved more time in Montserrat Wines were great. Brilliant time and our guide Aurora was both funny and knowledgable, just sit at the front of coach when coming down the mountain as you might get travel sickness and not good for the wine tasting. My boyfriend, friends and I LOVED this tour. It was the PERFECT way to spend our last day in Spain. Monserrat is absolutely stunning. Our guide was sure to give us enough time to view the Black Madonna, hike to St. Michael’s cross, as well as visit the Farmers Markets and the cute cheese vendors. Not to mention you get a Golden Ticket to do a small liquor tasting of the liquors the Monks make! We got the meal at the winery, and it was fabulous, it definitely filled us up. The wine was good, and the grounds and castle was beautiful. We highly recommend this tour! It was a great way to site see but also relax after a busy, busy trip! 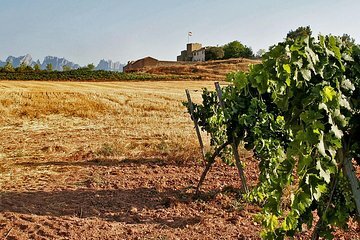 This was a great tour to Montserrat and the winery. I would recommend it to anyone. The scenery going to Montserrat was amazing. A must see when in Barcelona. Our tour guide, Clara, was excellent. She was very informative and entertaining. The pace of the tour was just right with enough free time at Montserrat to wander the grounds, visit the church and enjoy the peace of the site, and take in the amazing views. The visit to the vineyard was equal to others I've been on, except to our surprise Clara conducted the wine tasting and was very knowledgeable! The tapas was delicious. We took this tour on our daughter's recommendation and now it is our turn to recommend it to others! A day well-spent. This was a fun full day tour. Monserrat was beautiful, the tour guide was well informed, and the winery was beautiful. I would recommend this day trip, to anyone who enjoys amazing views and wine. This tour was excellent and Ana was a great guide. She gave us a summary of what to expect including the all so important information on rest stops. It is a shame that time did not permit us to do more activities up at Montserrat. Perhaps you could consider leaving earlier (even though this is already a long day tour); I would have loved hearing the choir and going up the funicular as well. The hike to the cross was pretty challenging but well worth the spectacular views. After returning from that hike, I told Ana she needs to give two times, 20-25 minutes for young people and 35-40 minutes for older people like me. The short tour of the winery was amazing – it is owned by an unbroken line of the same family and over 1,000 years old. Best of all was the wine tasting and tapas experience. The tapas were delicious (Ana also made accommodation for me changing out the fish for garbanzo beans) and wine very good. The only surprise was the bus ride over – I expected just a small group, but we were combined with two other groups going up to Montserrat. But it was a big, comfortable bus and the other two guides provided great narration to all. I would definitely recommend this tour and your subcontractor, Castle Experience.